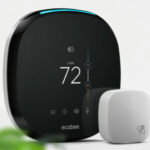 The Ecobee is a smart wi-fi controlled thermostat that works with sensors to provide optimal value, control and comfort. -Customers in the U.S. saved up to 23% on their heating and cooling costs according to an internal analysis. 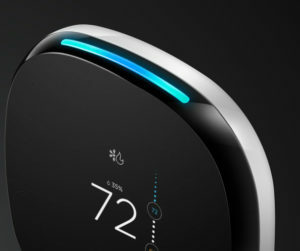 -All thermostats are ENERGY STAR® certified. -Built in voice technology that works with Amazon Alexa so you can have hands free convenience in every room of your home. -Turn off your lights without leaving your bed! -Ecobee smart thermostats are not compatible with high voltage systems. -Use this compatibility checker here. -A lot of thermostats only measure the temperature in the hallway, and not in cold spots which results in uneven heating or cooling in homes. 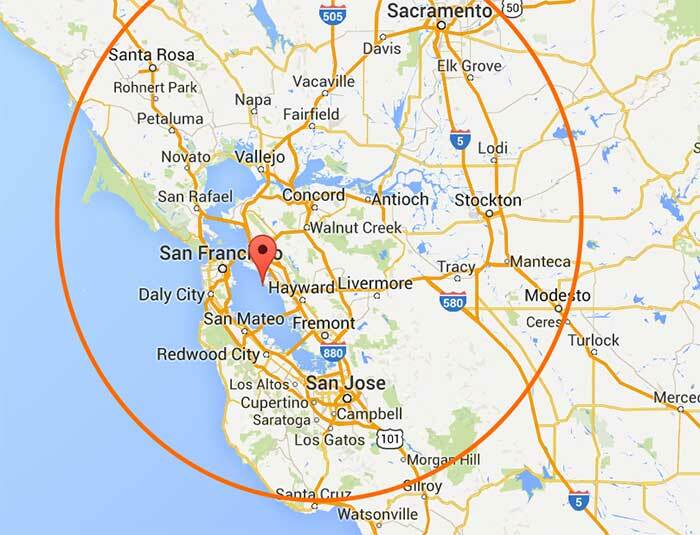 This is where sensors come in. Ecobee uses sensors to detect these cold spots in bedrooms or hard to reach spots, providing even temperatures throughout the home. 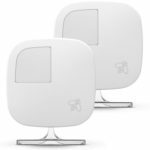 -Sensors help adjust temperatures when no one is home, to further enhance energy savings. -Room specific temperature and occupancy readings. -Embedded microphones with voice recognition. -Picks up voices from across the room. -Adjust temperatures from the Escobee mobile app. -Hardwired so it is built to last. -Smart recovery, AC overcool to dehumidify, fan dissipation, robust staging options, alerts and reminders, optimal humidity.